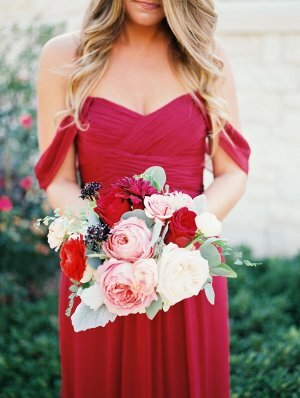 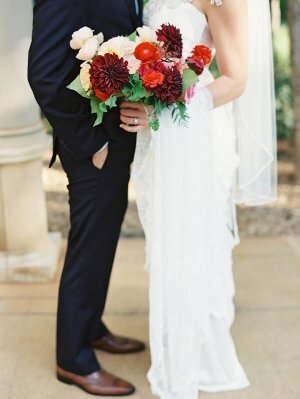 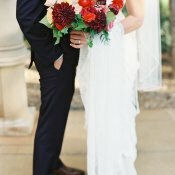 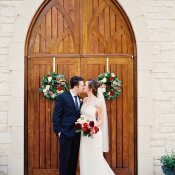 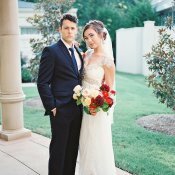 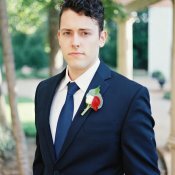 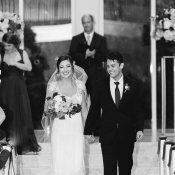 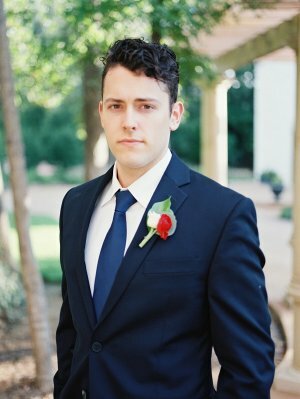 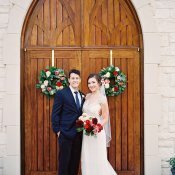 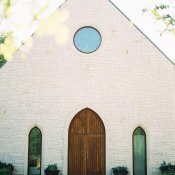 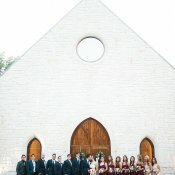 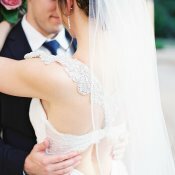 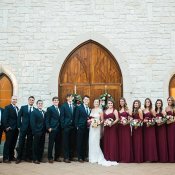 We fell in love with Kristen and Andrew’s Texas fall wedding at Ashton Gardens the moment we set eyes upon it! 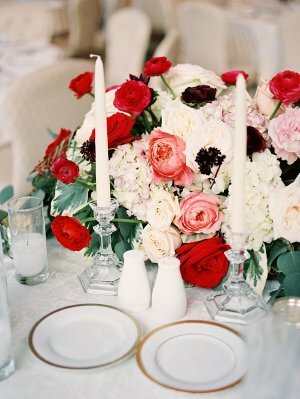 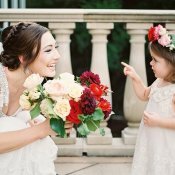 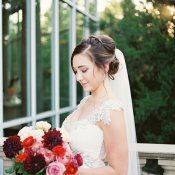 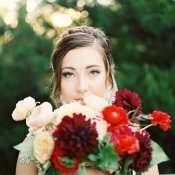 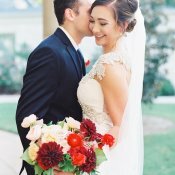 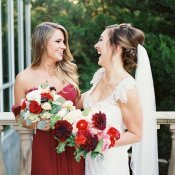 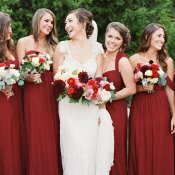 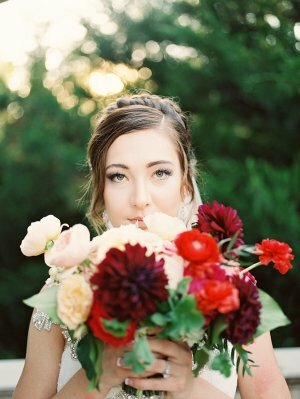 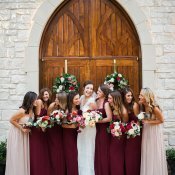 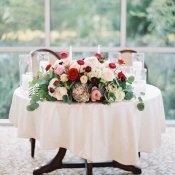 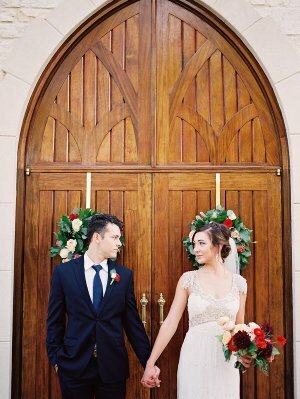 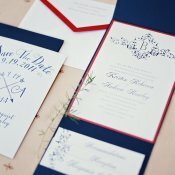 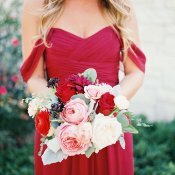 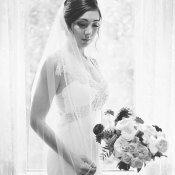 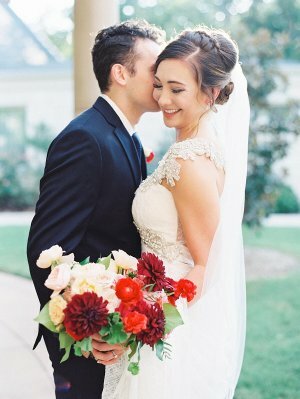 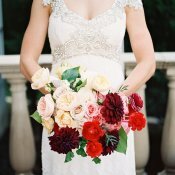 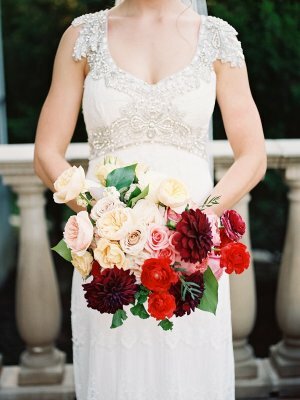 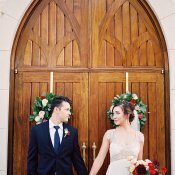 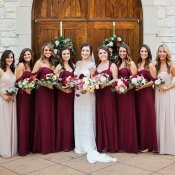 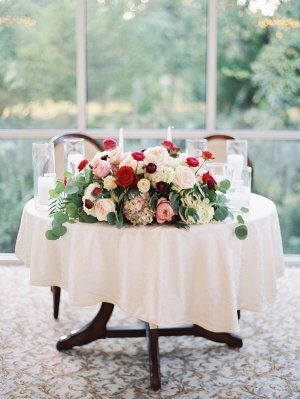 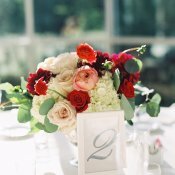 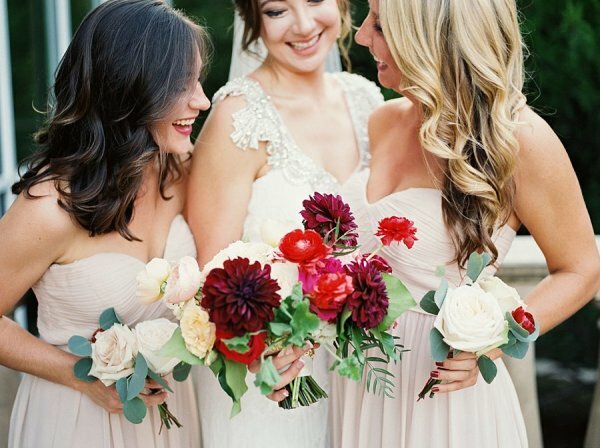 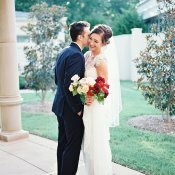 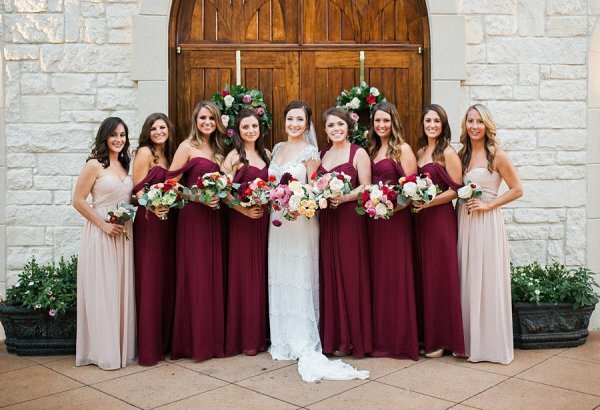 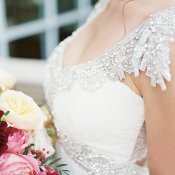 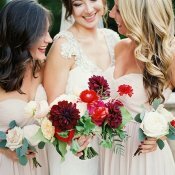 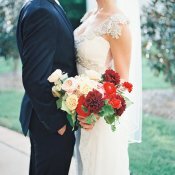 The warm color palette of burgundy, crimson, blush, and navy is perfect for autumn, and the decor was inspired by the subtle touches of vintage lace and beading on Kristen’s gorgeous Anna Campbell gown. 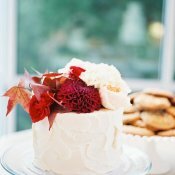 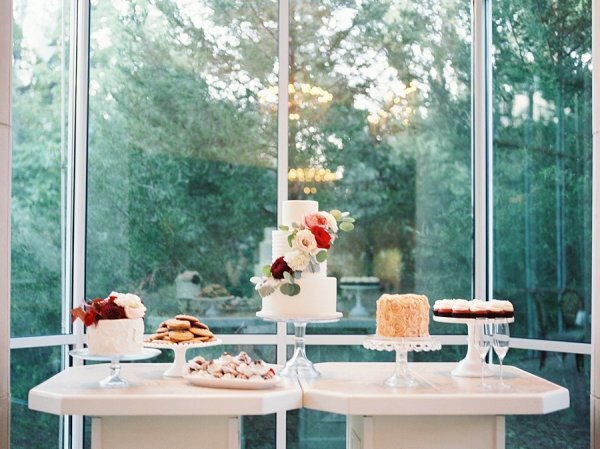 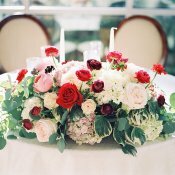 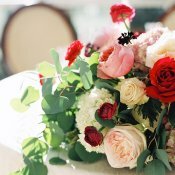 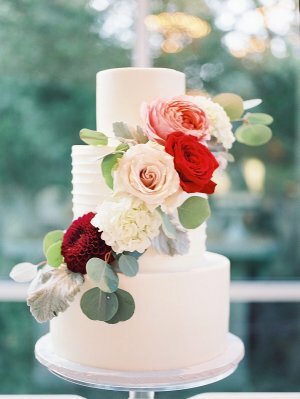 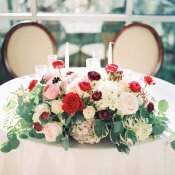 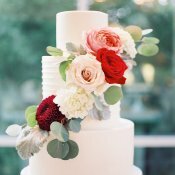 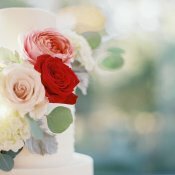 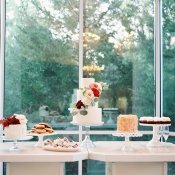 Stems of Dallas created romantic bouquets and centerpieces of burgundy dahlia, blush roses, black willow eucalyptus, and hydrangea, and decorated the centerpiece of the ballroom, a dessert table with a gorgeous cake from Sugar Bee Sweets, with fresh fall flowers. 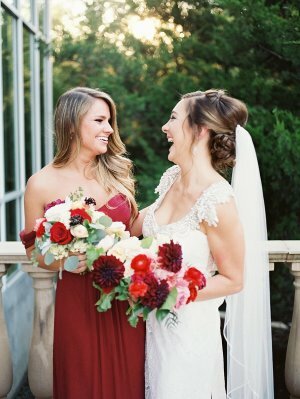 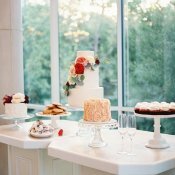 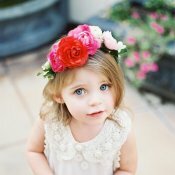 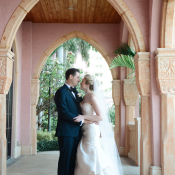 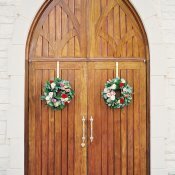 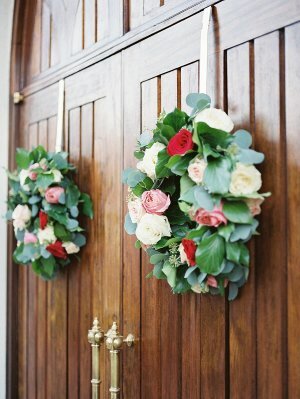 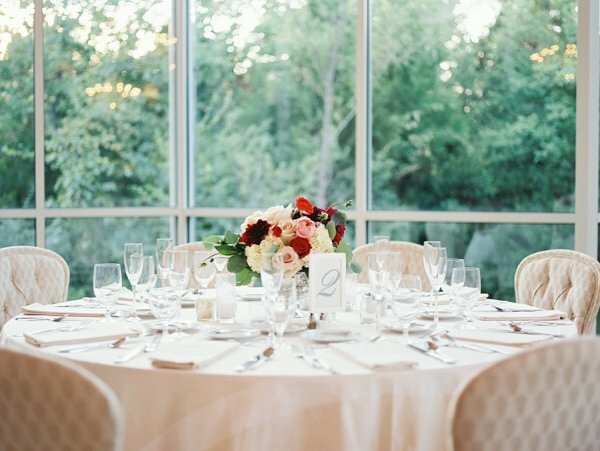 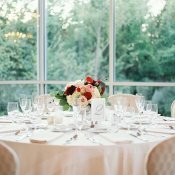 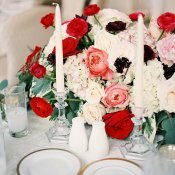 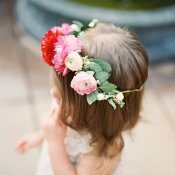 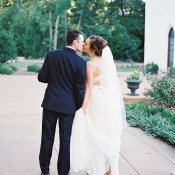 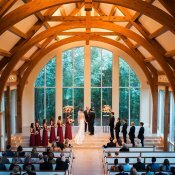 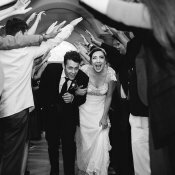 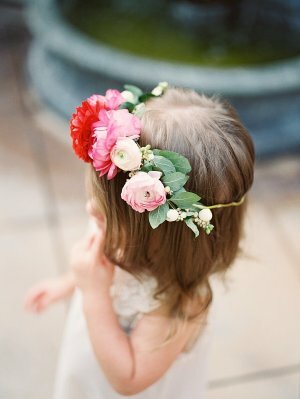 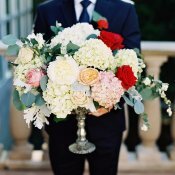 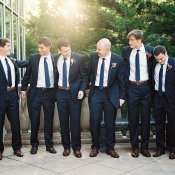 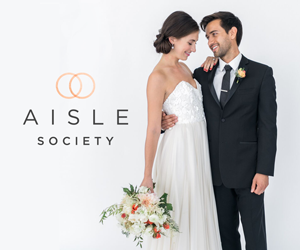 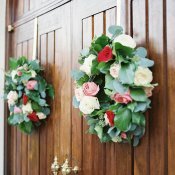 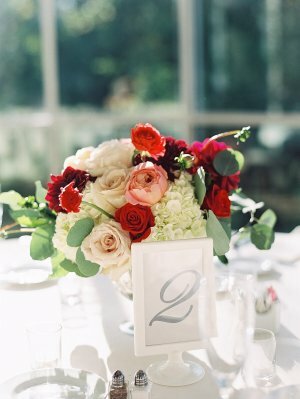 The Valeries of Valerie and Valerie Events made sure the day went off without a hitch, and we’re head over heels for the images from Tracy Enoch Photography!